It’s been a while since we’ve heard anything about the Samsung Infuse 4G, which we happened to check out way back in January during CES, but during the time since then, we’ve seen plenty of next-gen devices gearing up for their official unveilings. So far, we’ve seen the AT&T bound smartphone making its way to the FCC, and more recently, it’s believed to be launched by Walmart some time this month. 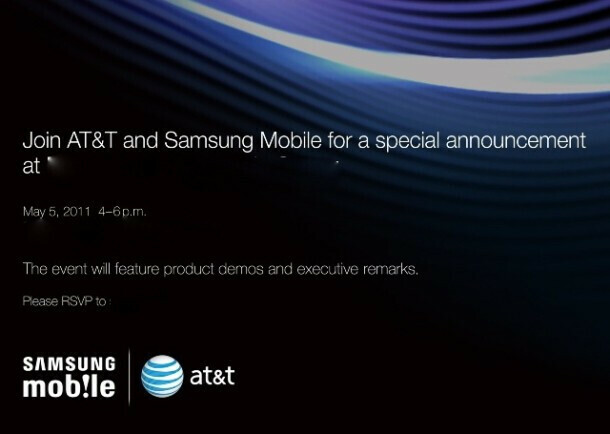 With that in mind, it seems that the press event being held in New York City on May 5th by Samsung and AT&T just might point to the undeniable reality that we might soon see an official unveiling of the Samsung Infuse 4G. Invites are being sent out to various media outlets for this “special announcement,” but it only provides the notion of product demos and executive remarks being made at the event. Interestingly enough, the event could possibly be related to other things aside from the Infuse 4G – like some sort of tablet or an AT&T version of the Nexus S. Whatever it is, we’ll surely know soon enough about it seeing that it’s taking place in just three days from now. Please be the Galaxy S II !!!!!!!!!!! I hope not.. Infuse is just too big of a phone.. I hope. Becase once it goes to AT&T hopefully verizon will be next! This better be the S2. It'll at least give us some confidence that the other carriers will soon announce their own variants of the S2. Wish I could of hold out till May but i can't I have to get rid of my dinosaur MOTOROLA Flip phone to get the Atrix DAMN IT DAMN U SAMSUNG REALLY WANTED YOUR PHONE!! If it's the S2. I am definitely selling my iPhone 4! 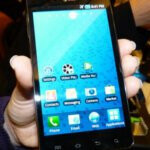 But I do like the Infuse 4G, but I'd whether get the S2 due to it having a 1.2 dual core processor and 4.3 inch screen. I think 4.5 is a good size as well, but just a little too big for what I'm wanting.